Perfect for fell and mountain running as the Soil Shaker outsole will tear through the mud with ease while offering maximum cushioning and ventilation. "Great grip on wet, muddy trail. Better than most more expensive shoes. 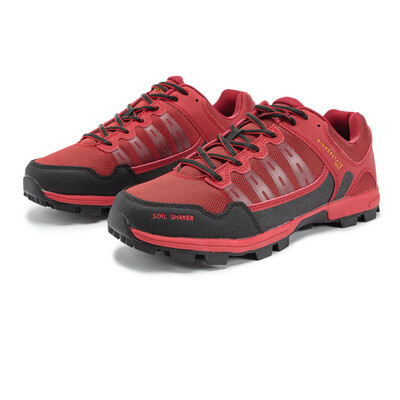 Very good fit, comfortable and supportive,"
"All good at the moment see how they wear"
Constructed with a closed mesh upper, the Soil Shaker will provide maximum durability against sharp debris, while still ensuring much-needed ventilation to keep your feet feeling cool and comfortable during trail runs. The traditional lace-up closure and gusseted tongue pair up to prevent loose debris from entering the shoe, ensuring ultimate comfort by eliminating any distractions. A reinforced toe bumper defends feet against loose rocks and jagged ground, plus the reinforced heel design is built for optimal support while descending and contouring, enabling a faster run with greater confidence. A padded tongue and heel complete the upper, adding soft support and reducing the risk of rubbing and blisters, because we know how those can ruin your day. The moulded EVA footbed offers extra cushioning as well as anatomical support, fitting the shape and size of your foot to ensure ultimate comfort. 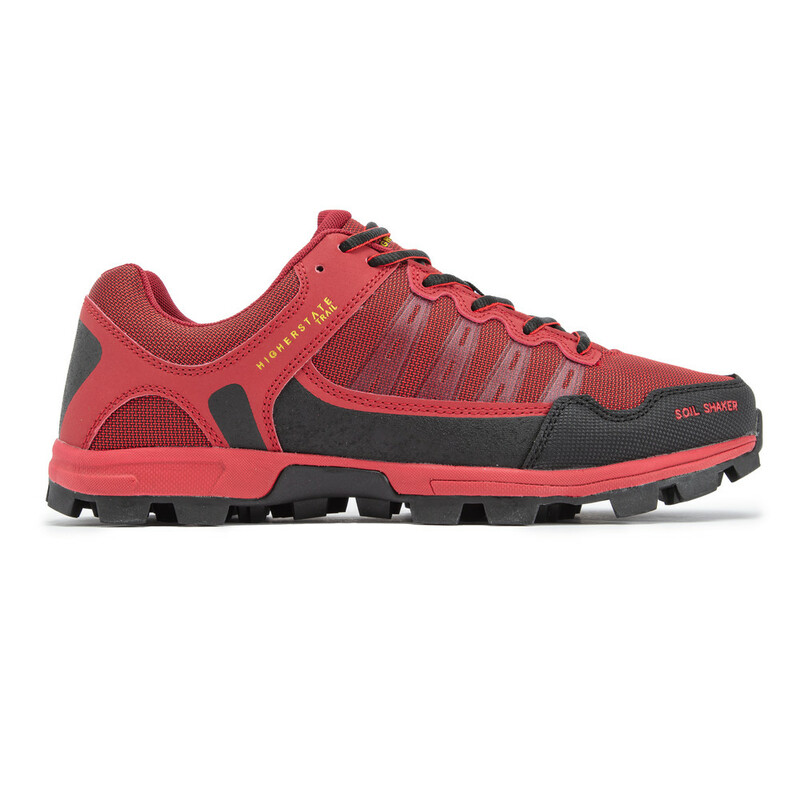 Additionally, the moulded EVA midsole provides lightweight cushioning to ensure a smooth ride, especially on difficult or unpredictable terrain. Having ample cushioning will ensure a more enjoyable, comfortable run as you can maximise both focus and performance. Rigorously tested in all conditions, the Soil Shaker's outsole is designed with a perfect blend of rubber compound to deliver supreme grip on a variety of terrains, from deep mud to wet rock, while still providing excellent durability. A flex groove adorns the forefoot to encourage natural flexion during the toe-off phase of the gait cycle. 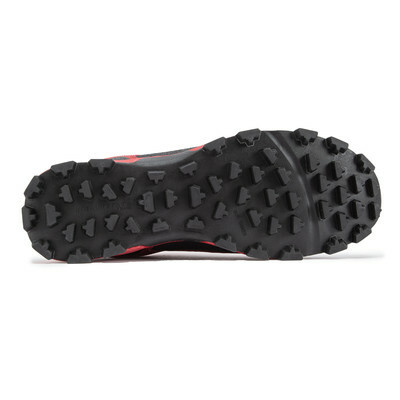 The grippy rubber outsole is designed with ultra-aggressive 8mm multi-directional lugs to give you supreme traction during extreme conditions. 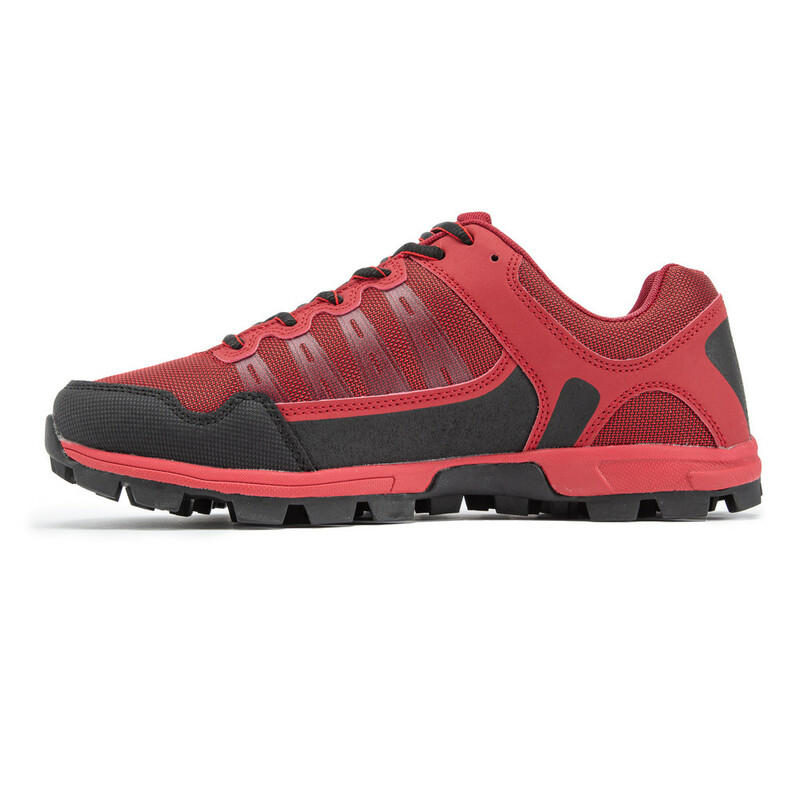 Closed Mesh Upper - Offers debris protection, while still providing much needed breathability. Traditional Lace Up Closure - Ensures quick and easy lace up for a secure fit. Padded Tongue and Heel - Provides maximum comfort, reducing the risk of rubbing. Reinforced Toe - Offers extra protection against loose debris. Reinforced Heel Design - Built for optimal support while descending and contouring. 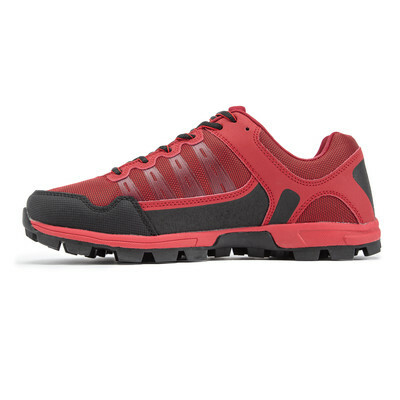 Moulded EVA Midsole - Provides lightweight cushioning. Moulded EVA Footbed - For additional comfort and anatomical support. Soil Shaker Outsole - Specifically designed to clear debris with every stride. Grippy Rubber Compound - Ensures a great combination of grip and durability. Forefoot Flex Groove - For increased flexibility. 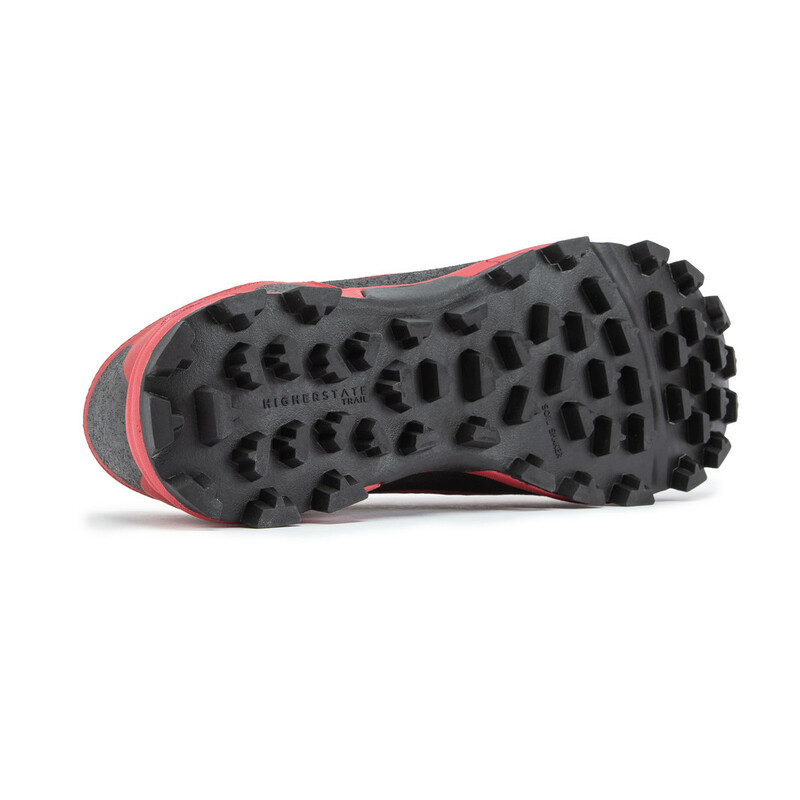 8mm Multi-Directional Lugs - Offering maximum traction during extreme conditions.